London, United Kingdom: In a statement issued today, the Executive Board announced that Canada had gained the permanent membership of the International Youth Federation. According to Statistics Canada, youth aged 24 and younger represents 29.9% of the population of Canada. 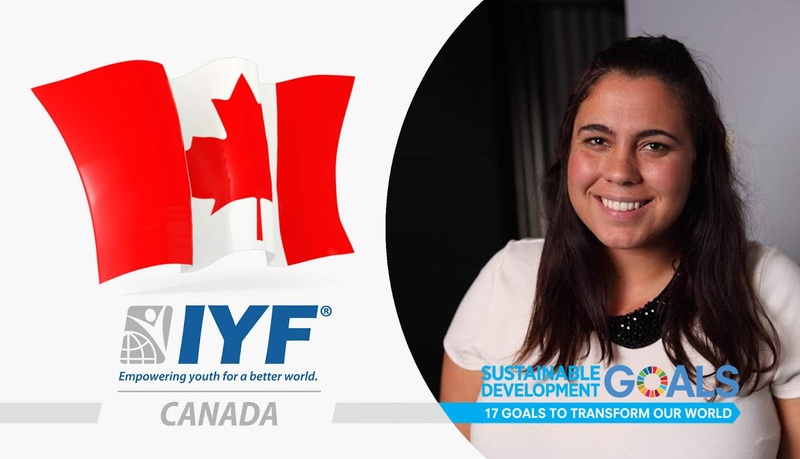 Our vision at the IYF is to enable Canadian youth to get their voices heard and giving talented and motivated young people the opportunity to acquire the skills and knowledge to actively contribute to the development of their societies. Ms. Melissa is a young leader, community development worker and youth advocate who is passionate about gender equality and youth engagement. She has worked in Chile, Georgia, and Indonesia on development projects focusing on youth rights and women’s health initiative. She advocates for youth involvement in democracy and the promotion of women’s rights. Her work has included non-partisan work engaging young women in the political process. Ms. Melissa holds a Bachelor of Arts (Honours) in International Development from University of Guelph.